It’s always a nice day when my work gets featured in the media! 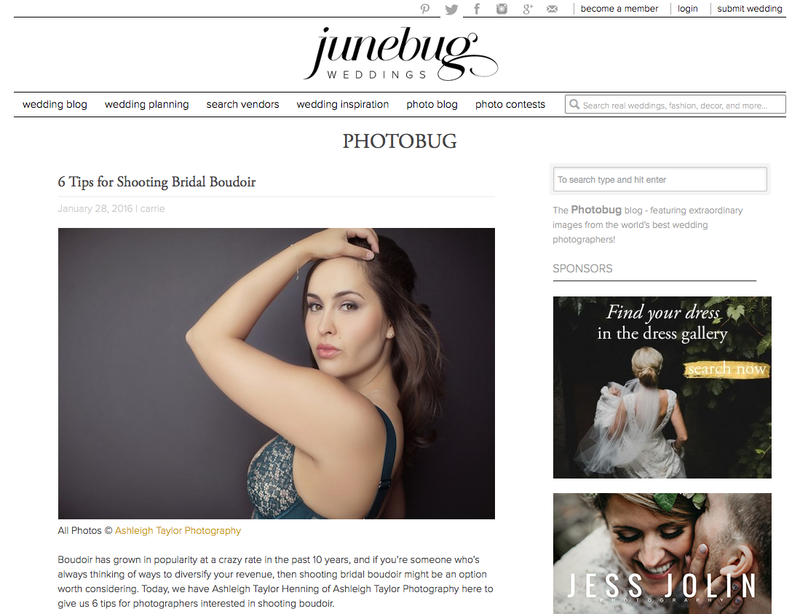 Today I have an article over at Junebug Weddings discussing the 6 important things every photographer must do at a boudoir session! Check it out HERE!